He’s been shipwrecked on a desert island; he once climbed two of Southern California’s tallest mountains in a day; and there was that time he got evacuated from Baghdad in an armored vehicle—and it got hit by an improvised explosive device. But aside from his sense of adventure, what really distinguishes Mark Sorensen, founder and CEO of the Geographic Planning Collaborative (GPC) Group, is his drive to extend and expand the use of GIS—especially in the developing world. Examining manifold perspectives and figuring out how they affect and rely on one another is the methodology that has defined Sorensen’s career from the beginning. As a young construction worker, he got ahold of Scottish landscape architect Ian McHarg’s Design with Nature, a seminal book that champions understanding the existing natural landscape to better integrate man-made design. “That made complete sense—to know more about the environmental forces you are dealing with in a space and then think about the human systems you interject into those spaces,” said Sorensen. This rational, systematic process inspired him to study landscape architecture. At age 21—after he had already been married for four years and had two kids—Sorensen enrolled in the landscape architecture program at California State Polytechnic University, Pomona. While working with plants there, he also developed an interest in computers. Thus, when he was encouraged to go to graduate school, he chose to attend Harvard University’s Graduate School of Design to pursue a master’s degree in landscape architecture and regional planning, since he would be working not only with landscape architects but also with people who were doing research with computers. One of the classes that really stuck with Sorensen was one Carl Steinitz taught on methods of landscape planning. Steinitz led students through a range of design perspectives, including Chinese Feng Shui and how Native Americans used to organize themselves into landscapes. Sorensen recalled how “mind-bending” it was to think about all the different cultural contexts and how, to really understand an environment, he would have to use all the methods and tools available to him and essentially do geodesign. “He’s constantly exploring and innovating and thinking,” said Dan Bucko, an urban planner and landscape architect at Hart Howerton, who has worked with Sorensen on a number of projects throughout the years. That is how Sorensen approached more recent projects with the government in Abu Dhabi. 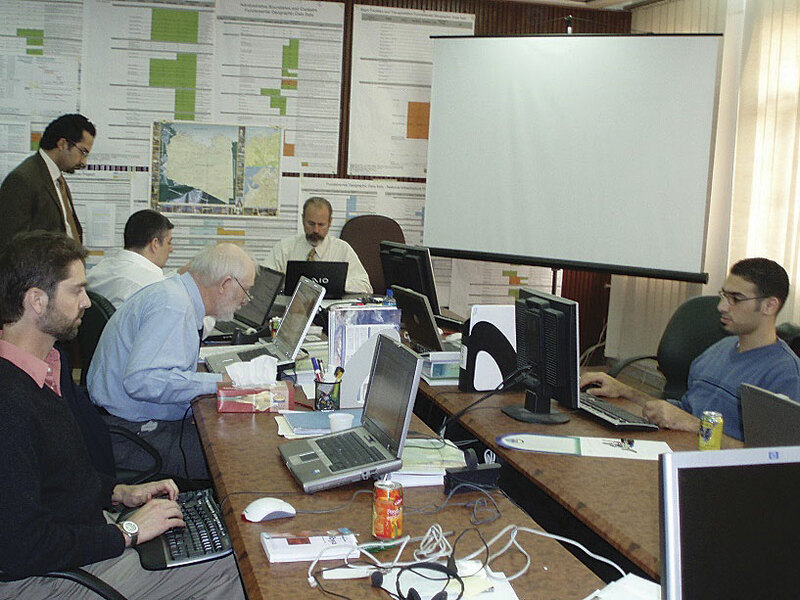 First tasked with evaluating the Abu Dhabi Global Environmental Data Initiative (which was part of the United Arab Emirates’ commitment to closing the environmental data gap between developed and developing countries), Sorensen and his team were then asked to take a look at plans to develop a GIS that would connect government departments across the country. The consultancy’s recommendation that the government integrate its GIS program with what was then a nascent e-government program prompted Abu Dhabi to hire GPC Group for both projects. Today, more than 80 organizations in Abu Dhabi share close to 800 layers of information—a feat that won Abu Dhabi the inaugural Smart Government Award at the 2015 Esri User Conference. Sorensen’s work doesn’t stop there, though. His company now focuses heavily on GeoSmart Solutions That Matter, an initiative that strives to use location information to solve interesting problems that will have transformative impacts. With this, Sorensen wants the developed and developing worlds to better coordinate how they implement projects. “We realized that a lot of the SDI work we’re doing in developing countries is largely a top-down perspective,” said Sorensen. Rather than perpetuate that structure, he wants to implement these projects in a more integrated way. 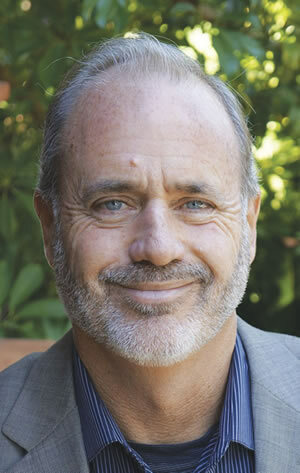 “The classical approach to SDI that’s been applied in the developed world really has to be repositioned and retooled to address issues in the developing world,” he said. That is why, for projects in developing countries, Sorensen has recoined SDI to stand for spatial development infrastructure, which he believes fosters a more ground-up approach to spatial data development.